Is Jesus’ blood still wet? Was what Jesus did on the Cross (shedding His blood for us, dying for us) really a “Once and for all” sacrifice and atonement as Hebrews reminds us? Christine Auma You know some people refer to the blood of Jesus like it is some power they can invoke… I used to do that myself… Praying for the blood of Jesus to cover my while I slept or travelled… In this way we are using the blood of Jesus as power which keeps of evil and it is used in the way our ancestors used charms and invoked spirits for protection. I do not think it is right for us to do that. Felix Ochieng What do you think of the Passover night? Can people draw links from the protection of the blood of the Passover lamb to the blood of Christ? James Wainaina Yes indeed we can and we should Felix , but the question is, what was the blood for? Nicholas Pande can help with the whole topic of atonement (REDEMPTION research paper – N Pande). What we need is to ask why was the blood shed? For what purpose? For example, the Passover blood was for protection of the Israelites from God’s angel of death. Why? Because they were not right with him and blood had to be shed for them too so that they will not suffer death/punishment. The same to us, blood has been shed on the cross once and for all. All we need is faith in what has already happened on the cross. Imagine if the Israelites would be in the desert and they start praying, “We speak the blood of the Passover lamb over us” ????? Also, don’t we just believe that when we pray, “God protect us” is enough? That he can hear us. Christine Auma I AGREE with you James… the blood on the Cross was Christ taking or receiving the wrath of God/judgement on our behalf…. I agree that we can say that God protects us from all sorts of evil… but we should not use his blood as some power we call upon or invoke to has Him. It does protect us or washes us but the cleansing and the atonement of our sins happened 2000 years ago. This subject reminds of something we keep saying as Christians: that when we sin we are crucifying Christ again. I think this is wrong… ni kama tunaona dhabihu ya Yesu kama ile ya kondoo na mbuzi ambayo ilifanywa kila mara mtu alipotenda dhambi… But Jesus sacrifice was once and for all. There is no way we take him back to the cross by sinning. 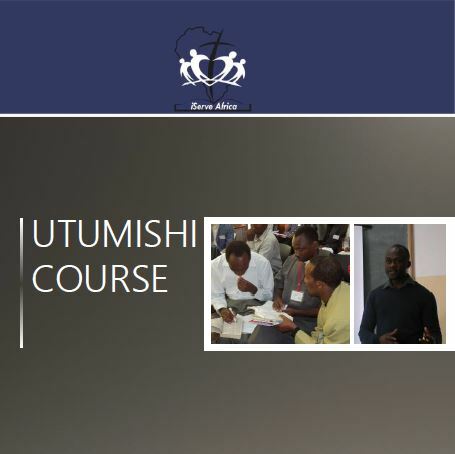 Brian Masinde I think it is just a sign of surrender to what Christ has already done. 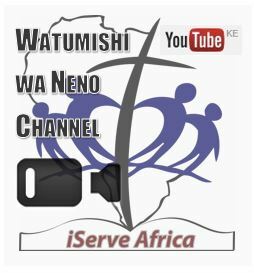 It all refers to the work of salvation and not the literal blood like the one now flowing in the veins and arteries of James Wainaina. I don’t think that where Christ is seated he still has blood, though his blood that was shed is very powerful to save us just as just it was shed on that day. I know his blood was shed to purchase (redeem) mankind back to God. This was the sole purpose and I think there no difference if we pray ‘God protect us and God cover us by the blood of your Son’ because much of OT (where we draw the protection by the blood during the Passover from) is just the shadow of the reality of Christ. Otherwise, we may ask ourselves then how do we overcome by the blood (Rev. 12:11) if the protection can’t apply to the same blood. I do agree with what Christine just said that we SHOULD NOT invoke the blood of Christ as though it was some magical powers to suit our needs. It is FAITH in His death that leads to the shedding of his blood for the cleansing our sins, that will help us. James Wainaina Felix, do you think covering people with Jesus’ blood makes God act more than when we pray “Protect us”? Also, I think you are clear above in the quotation from Revelation that Jesus purchased us with his blood once and for all. The blood was shed on Calvary once and for all. It will never be done again and we must remember that as a historical act because the gospel is historical. We cannot have another crucifixion and therefore no more blood. It is done once and for all and it takes faith to believe that it is already done. Jesus put it this way, “It is finished”. Elizabeth Adisa In regards to Jesus Blood that was shed, redemption and remission of sins was its sole purpose meant to give us a permanent remedy to all our sins once and for all (Matt. 26:28; Eph. 1:7). Coming back to Revelation 12:11 – it is interesting that when Jesus died on that day through the shedding of His blood, we are told that through his death, he destroyed he who had power of death and set us from the fear of death (Heb. 2:14-15). In Colossians we are reminded again that having disarmed the principalities, he made a public spectacle (Col. 2:15). And then again, the son was manifested to destroy the works of the devil (1 John 3:8). And the saints in Revelation overcame him by the blood of the lamb and the Word of their testimony. In some way they participate in Jesus’ victory. In regards to blood and protection, I strongly agree that we should never invoke the blood of Jesus as some kinds of spiritual chants to keep the enemies at bay but our concerns should be on the power behind that Blood that was shed. Going back to the OT… During Passover, “The blood will be a sign for you…and when I see the blood, I will pass over you” (Ex. 12:13). In the sacrificial system, when the Israelites slaughtered the lambs without blemish and used blood to cover for their sins, it wasn’t sufficient but only a temporary remedy. Then Jesus comes to the picture and sheds His Blood, once and for all and we obtain a permanent solution to our sins after the work at the cross. 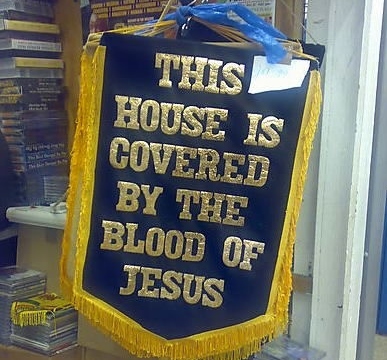 If we can all agree that the blood of animals were temporary covering for their sins that points us to Jesus shedding of His blood for permanent and total forgiveness; Can we then say or use the same analogy that the shed animal blood used in Passover for divine protection also leads us to the shed Blood of Jesus having divine protection in it? The quality of discussion Andy is really encouraging. Keep talking guys. Concerning this topic. There is something I have come to think about in the last week and especially as I was preparing to speak on the topic “What is the gospel?”. That we need to remember that Jesus’ body was a real human body. Otherwise, we’ll not have a basis to say he died for us/ he died the death that we should have died. If he was to die the death we should have died, he should have taken all our position, situation, body and state and also, carry our sins. So, if the blood was from a real human body, does is still flow wet or did it dry out? I think this is the reason that Jesus after appearing to the disciples and they think he is a ghost he goes ahead to ask for bread lest they forget. If it was a ghostly body, then the bread would have fallen through but it doesn’t in this case. This means it was real body. Secondly, I think we also need to remember that the sacrifice on the cross was also for the quenching the wrath of God due to the sins of the nations. So, was the sacrifice for all men made once and for all or is it already done. Just some thoughts……… Lets keep talking. Thanks James. That’s really helpful. One other thought… Crucifixion was not a particularly bloody form of death. So we need to think why the NT authors use the word ‘blood’ so much. A common understanding is that blood = life. But Leon Morris (‘The Atonement’) makes a very strong argument that the OT evidence makes far more of a connection between blood and death. Of the 362 OT references to blood, 203 refer to violent death (murder etc.) and 103 to sacrifice. So when a Jew read of the blood of Christ they would first think simply of violent death and secondly of the sacrificial system. Jesus was killed by men (Acts 2:23; 3:15; 4:10) and at the same time, in the plan of God, he was slaughtered as the Lamb of God (John 1:29 etc.). If we read blood as death then it does fix it very tightly to the once for all Event of that first Good Friday and it becomes a bit strange to talk about covering your house/family/car with the death of Jesus.